Sales of Biocell textured breast implants, which had been flagged for safety issues in a CBC News investigation, could soon be suspended, Health Canada says. As of Thursday, Health Canada said it’s been notified of 28 confirmed Canadian cases of breast implant-associated anaplastic large cell lymphoma (BIA-ALCL). It is a serious but rare type of non-Hodgkin lymphoma that affects the immune system and may develop many months or years after a breast implant procedure. It is not a cancer of the breast tissue. Of the 28 cases, 24 involved Allergan’s Biocell breast implant. 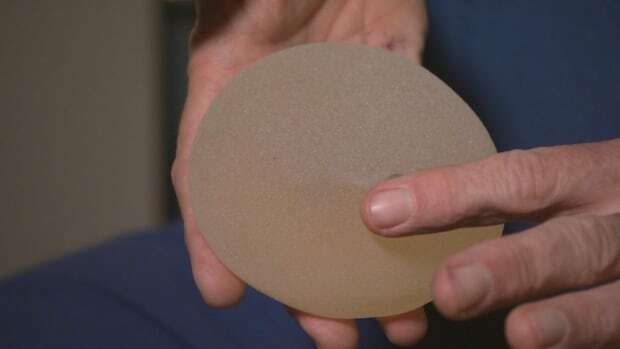 Health Canada said it continues to review all scientific and clinical evidence on textured breast implants. “This includes any new evidence provided by Allergan in the next 15 calendar days. If a satisfactory response is not received by then, it is Health Canada’s intention that the Biocell medical device licences will be suspended. This means that the product would no longer be permitted to be sold in Canada,” the regulator said in a release on Thursday. Health Canada previously warned women with implants to see a doctor if they notice any changes to their breasts including pain, sudden swelling or a lump. The department is also asking health-care professionals to report details of any cases of BIA-ALCL. BIA-ALCL is also associated with autoimmune-like symptoms including cognitive issues, fatigue and muscle pain. The U.S. Food and Drug Administration (FDA) was the first health authority in the world to identify a link between breast implants and BIA-ALCL back in 2011. Officials from the FDA, along with Health Canada and European regulators, have attended public hearings focused on the use and safety of breast implants. Health Canada had previously said there was no need to reopen its safety review of breast implants in a response to a joint investigation by CBC News, Radio-Canada and the Toronto Star in collaboration with the Washington-based International Consortium of Investigative Journalists. The series found that deaths and serious injuries potentially tied to breast implants and other medical devices are underreported in many countries, including Canada. Many patients told CBC they suffered serious medical problems as a result of their implants and were dismissed by health professionals.